3-Henry Arthur Dobson was born on 23 Dec 1889 in Elizabeth Town, Tasmania and died on 7 Oct 1971 at age 81. Henry married Pearl Beatrice Rowsthorne, daughter of William Rowsthorne and Rebecca Atkins, on 30 Sep 1915 in Riana. Pearl was born on 7 Jan 1892 in Ulverstone, Tasmania and died on 24 Mar 1973 at age 81. Henry, often known as Harry was a proficient water and mineral diviner. He used a special type of stick, which would bend downwards when he was over water. He was able to find the best places to sink a well, which was a great help to the farmers. During their married life they firstly lived at Riana where both Harry and Pearl taught Sunday School. Harry worked for Mr. Pilbeam at the sawmill. Later they shifted to South Nietta where they engaged in farming for some years before moving down to the Circular Head district where they engaged in share farming at Edith Creek, before buying their own farm at Lileah, where they remained until Pearl died. Their son Alan took over the farm and Harry remained there until he became ill and after a time he died in hospital on 7th October, 1971. He was well known as a local preacher and Sunday School Superintendent in the Methodist Church. He was also a very active member of the Farmer's Federation. 4-Eunice Dobson was born on 23 Apr 1917 in South Riana. Eunice married Athol Gaby. Athol was born on 17 Mar 1916. They had eight children: Lenard, Geoffrey, Yvonne, Anthony, Carlton, Ronald, Geraldine and Mary. 5-Lenard Gaby was born on 29 Sep 1942. Lenard married Marie Lavell. Marie was born on 13 Nov 1941. They had five children: Suzanne, John, Karen, Jenny and Elizabeth. 6-Suzanne Gaby was born on 4 Mar 1966. 6-John Gaby was born on 17 May 1968. 6-Karen Gaby was born on 23 Oct 1970. 6-Jenny Gaby was born on 7 Oct 1971. 6-Elizabeth Gaby was born on 23 Jun 1975. 5-Geoffrey Gaby was born on 9 Nov 1944. Geoffrey married Kath Collins. Kath was born on 30 Dec 1940. They had four children: Cynthia, Judith, Barry and Christine. 6-Cynthia Gaby was born on 2 Jan 1964. 6-Judith Gaby was born on 13 Feb 1965. 6-Barry Gaby was born on 26 May 1968. 6-Christine Gaby was born on 12 Jun 1970. 5-Yvonne Gaby was born on 10 Apr 1946. Yvonne married Gordon Harrison. Gordon was born on 28 Oct 1943. They had two children: Anne Marie and Donna. 6-Anne Marie Harrison was born on 23 May 1971. 6-Donna Harrison was born on 13 Jun 1973. 5-Anthony Gaby was born on 15 Aug 1947. Anthony married Fay Hocking. Fay was born on 28 Apr 1949. They had three children: Philip, Michelle and Amanda. 6-Philip Gaby was born on 20 Mar 1975. 6-Michelle Gaby was born on 6 Apr 1977. 6-Amanda Gaby was born on 10 Jan 1984. 5-Carlton Gaby was born on 15 Sep 1949. 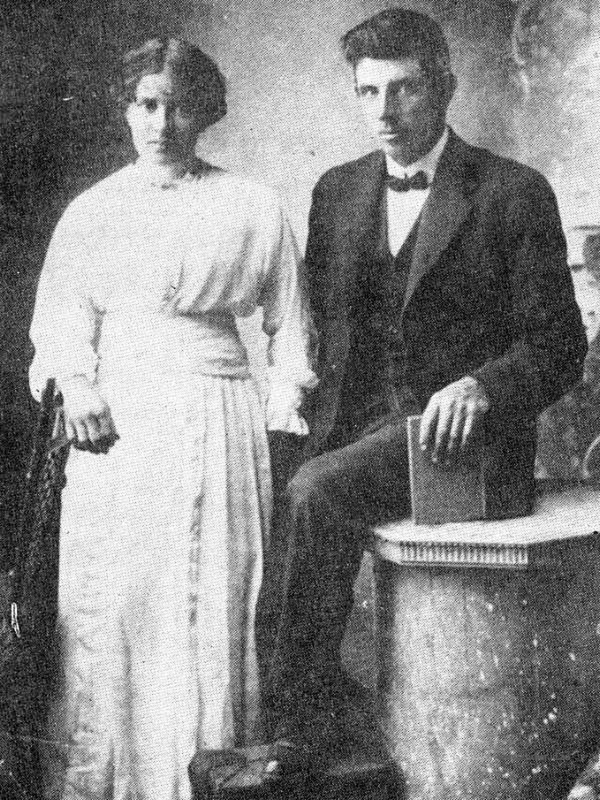 Carlton married Miriam Sinclair. Miriam was born on 1 Nov 1949. They had four children: Linda, Paul, Angela and Jane. 6-Linda Gaby was born on 17 Sep 1963. 6-Paul Gaby was born on 9 Jun 1965. 6-Angela Gaby was born on 23 Apr 1977. 6-Jane Gaby was born on 13 Aug 1981. 5-Ronald Gaby was born on 27 Jul 1951. Ronald married Yvonne Kilby. Yvonne was born on 24 Apr 1954. They had two children: Rebecca and Cristal Lorrae. 6-Rebecca Gaby was born on 16 Aug 1981. 6-Cristal Lorrae Gaby was born on 25 Feb 1985. 5-Geraldine Gaby was born on 9 Oct 1954. Geraldine married Paul Plunkett. Paul was born on 8 Mar 1952. They had two children: Andrew James Athol and Richard Clement Maxwell Gaby. 6-Andrew James Athol Plunkett was born on 13 Apr 1984. 6-Richard Clement Maxwell Gaby Plunkett was born on 1 May 1987. 5-Mary Gaby was born on 19 Jun 1958. Mary married Geoffrey Allan. Geoffrey was born on 17 Aug 1955. They had two children: James and Bronwyn. 6-James Allan was born on 15 Feb 1981. 6-Bronwyn Allan was born on 22 Mar 1983. 4-Allan Walter Dobson was born on 11 Jul 1919 in South Road, Penguin. Allan married Florence Cockburn. Florence was born on 22 Sep 1922. They had five children: Jean Florence, Elaine Joyce, Kathleen Phyllis, Gregory Walter and Wayne Shane. 5-Jean Florence Dobson was born on 21 Sep 1941. Jean married James Richard Barham. James was born on 2 Aug 1944. They had one daughter: Marie Anne. 6-Marie Anne Barham was born on 6 Feb 1976. 5-Elaine Joyce Dobson was born on 8 Aug 1943. Elaine married Hendrickus Cornelius Steinbergen. Hendrickus was born on 8 Aug 1940. They had two children: Gerald John and Fiona. 6-Gerald John Steinbergen was born on 15 Mar 1967. 6-Fiona Steinbergen was born on 23 Apr 1970. 5-Kathleen Phyllis Dobson was born on 27 Nov 1947. Kathleen married David Williams. David was born on 30 May 1946. They had two children: Marcus David Allan and Jason Adam John. 6-Marcus David Allan Williams was born on 31 Dec 1973. 6-Jason Adam John Williams was born on 15 Mar 1976. 5-Gregory Walter Dobson was born on 6 Sep 1954. Gregory married Lorraine Karen Hoskinson. Lorraine was born on 26 Feb 1957. They had two children: Wade Allan and Glen William. 6-Wade Allan Dobson was born on 30 May 1981. 6-Glen William Dobson was born on 6 Apr 1983. 5-Wayne Shane Dobson was born on 24 Jan 1959. Wayne married Helen Maree Monson. Helen was born on 14 Jul 1960. They had one daughter: Shelley Anne. 6-Shelley Anne Dobson was born on 19 Mar 1984.